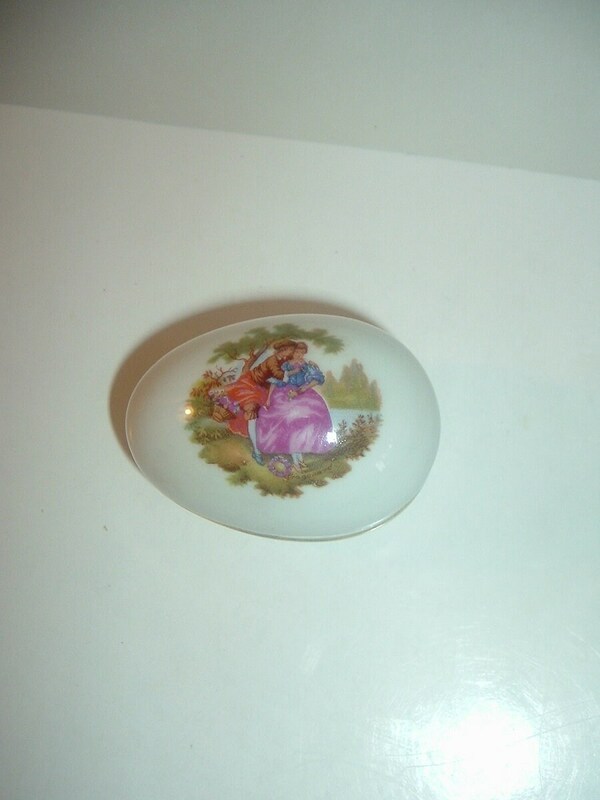 This egg shaped, courting couple motif, signed Limoges trinket box measures approx. 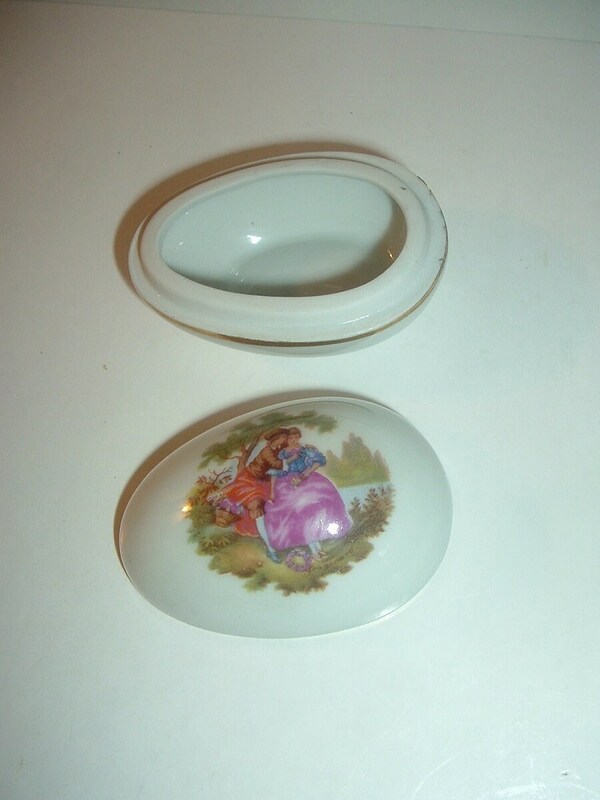 2.5"L and 1.75"W, and approx. 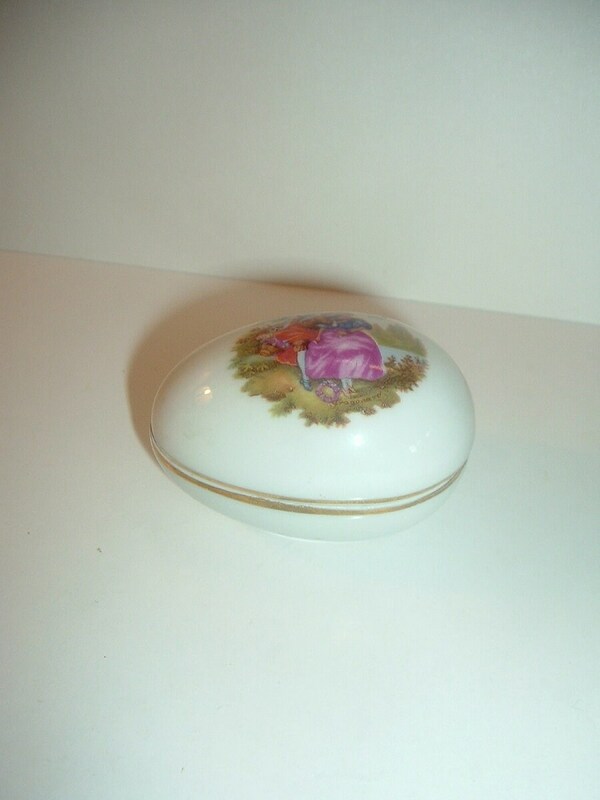 1 3/8"H. It features a Colonial courting couple on the lid, and gold trim. There are no chips, no cracks, and no wear. 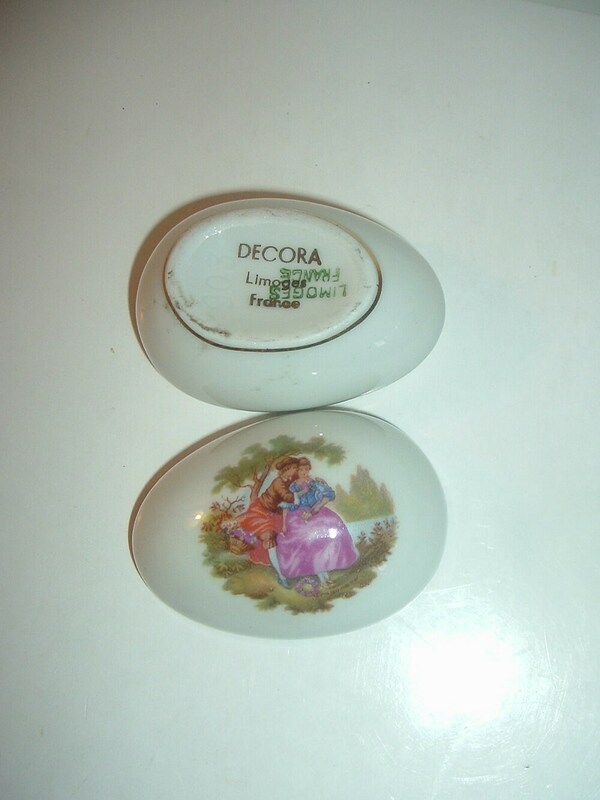 The Limoges signing is on the trinket box bottom. I gladly combine shipping.